At Chester & Co, we’re big Cherries supporters. We’ve watched AFC Bournemouth rise to glory with pride. That’s why we’re thrilled to have sponsored the away kit of defender Adam Smith since 2013. Our star, Adam, began his footballing career at a young age and represented England in the under 21 team. 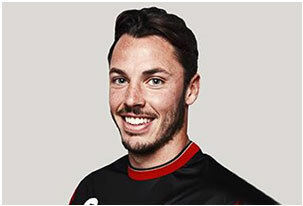 His first taste of life at AFC Bournemouth was in 2010 when he came to the club on loan. He made a great impression and obviously liked it here because he signed a three and a half year contract in early 2014. A year later we watched our favourite team rise to the Premier League, the highest tier of English football. It’s extremely exciting to have our local team take their well-earned place at the pinnacle of the sport. Chester & Co will continue to sponsor Adam’s kit and couldn’t be prouder of his achievements with the Cherries.